RalphWaldoEmerson is a Legacy Library. Legacy libraries are the personal libraries of famous readers, entered by LibraryThing members from the Legacy Libraries group. RalphWaldoEmerson is also an author. 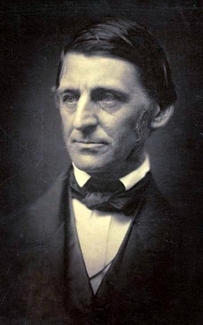 » See Ralph Waldo Emerson's author page. RalphWaldoEmerson is one of more than 5,000 organizations on LibraryThing. About meAmerican essayist, lecturer, and poet. Born May 25, 1803, died April 27, 1882 at the age of 78. A leader of the Transcendentalist movement. About my libraryA comprehensive online catalog of the books in Ralph Waldo Emerson's library. Information collected from Walter Roy Harding's book "Emerson's Library." Published in Charlottesville for the Bibliographical Society of the University of Virginia, and by the University Press of Virginia in 1967. © 1967 by the Rector and Visitors of the University of Virginia and used by permission of the Bibliographical Society of the University of Virginia. The minor works of Xenophon: viz. Memoirs of Socrates; The ban quet; Hiero, on the condition of royalty; and Economics, or the science of good husbandry by Xenophon.